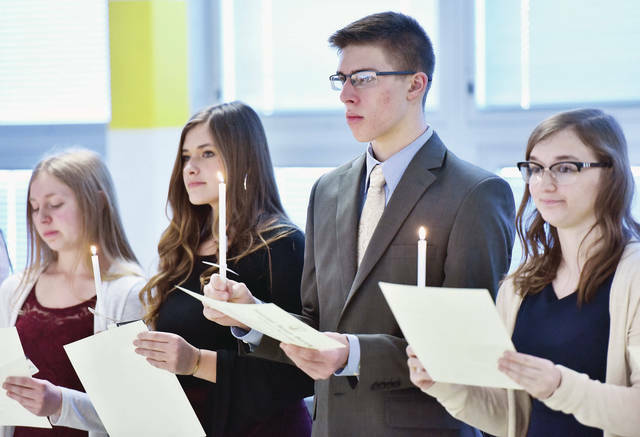 Being inducted into the Sidney High School National Honor Society are, left to right, Sarah Miu, 17, daughter of George and Teresa Miu, Hailey New, 17, both of Sidney, daughter of Chad and Nicki New, Conner Nuss, 17, of Anna, son of Brad and Kristy Nuss, and Whitney Petty, 16, of Sidney daughter of Willie and Kristy Hudson. 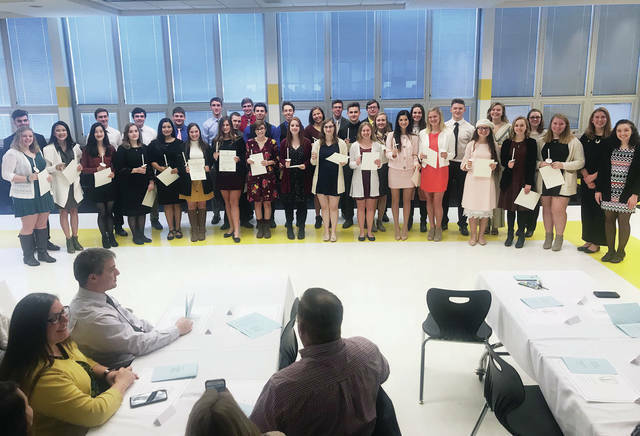 The induction ceremony was held in the Sidney High School cafeteria Sunday, Jan. 27. Requirements for membership are a gpa of 3.5 or better, service, leadership and character. Sidney High School Principal Dr. Brian Powderly gave the address. Sidney City Schools Superintendent Bob Humble was an honored guest.